We are excited to announce our 3rd printing (with updates and built in study guide) is now available. Others see your blind spots. Learning what they are and what you can do about them gives you a distinct advantage. leaders from over 150 companies around the world. 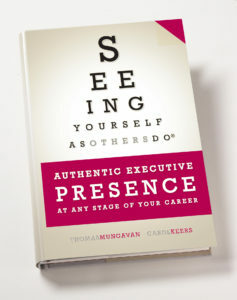 Carol Keers and Tom Mungavan tell you their success secrets in Seeing Yourself as Others Do: Authentic Executive Presence at Any Stage of Your Career. Getting your message and yourself understood is difficult. Seeing Yourself as Others Do will dramatically increase your odds of communicating what you intend. 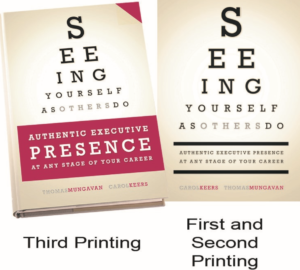 Invest in yourself – easy read, yet touches many meaty topics. Sign me up for tips, news and events from the authors and Change Masters Academy! We are excited you are joining us! Please look for news, tips and special events from the authors and Change Masters Academy!